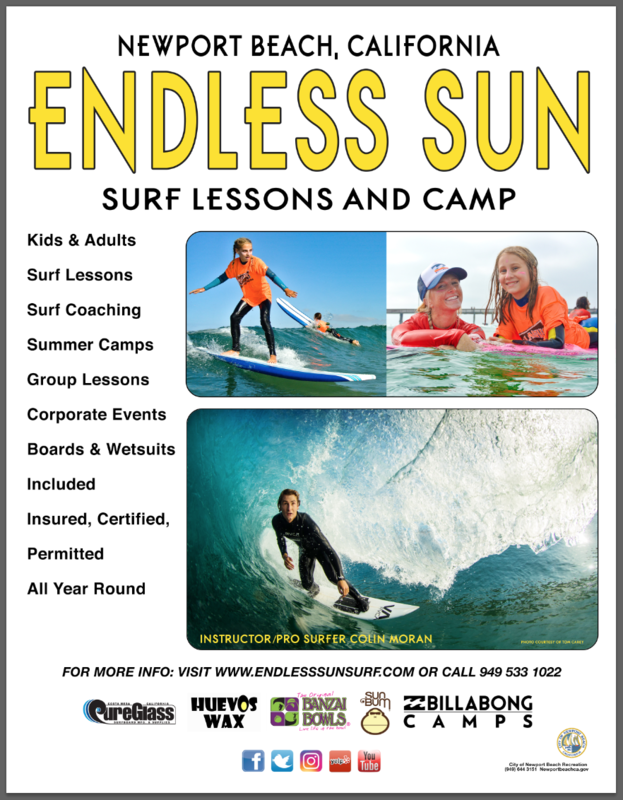 Established in 1963, Endless Sun Surf School is Newport Beach's original surf school. We've taught thousands of people, of all ages and abilities, how to surf, at one of California's best learning beaches, the Newport Pier. 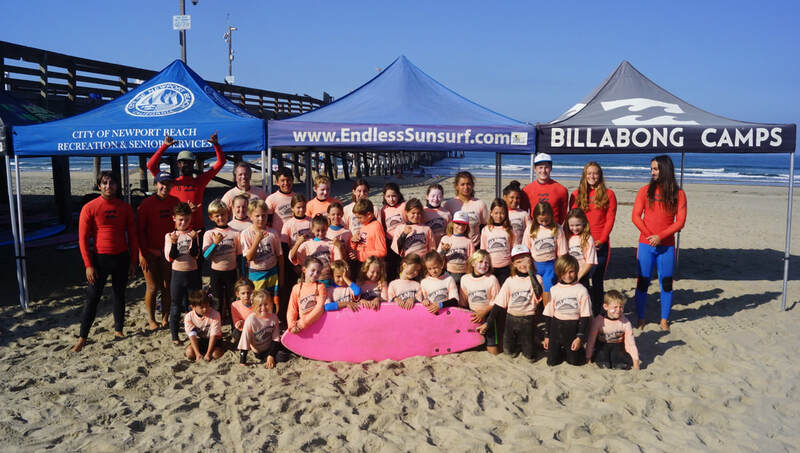 Our CPR-certified teachers are also professional surfers who have an in-depth knowledge of the sport and a passion that they wish to share with you! 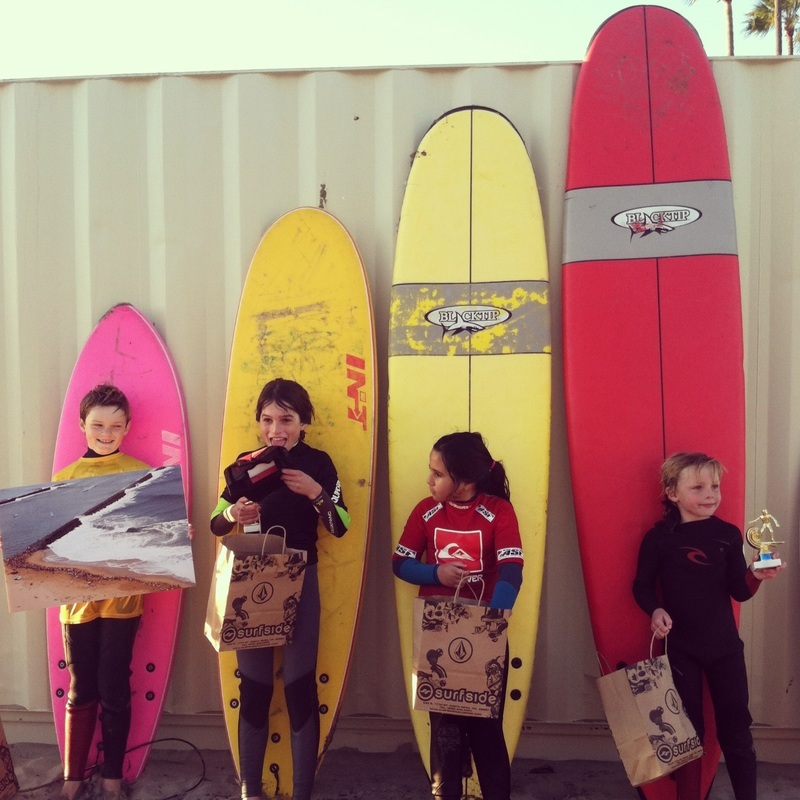 We always provide wetsuits and surfboards for all sizes (included in price). 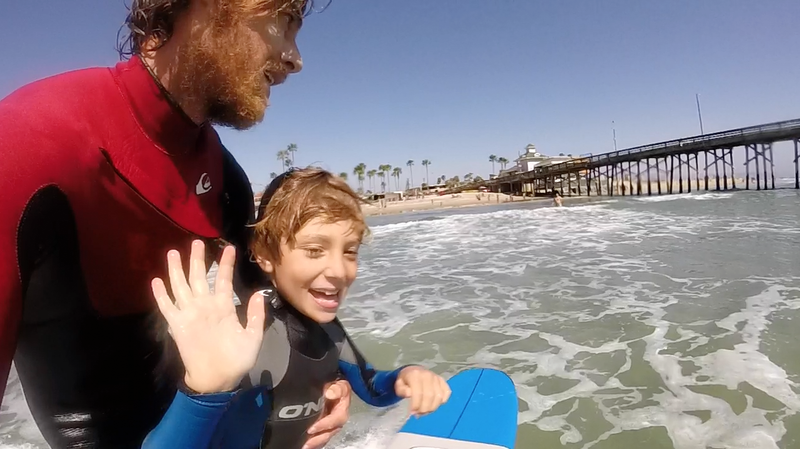 Meet the crew on our Surf-Instructor bio page. 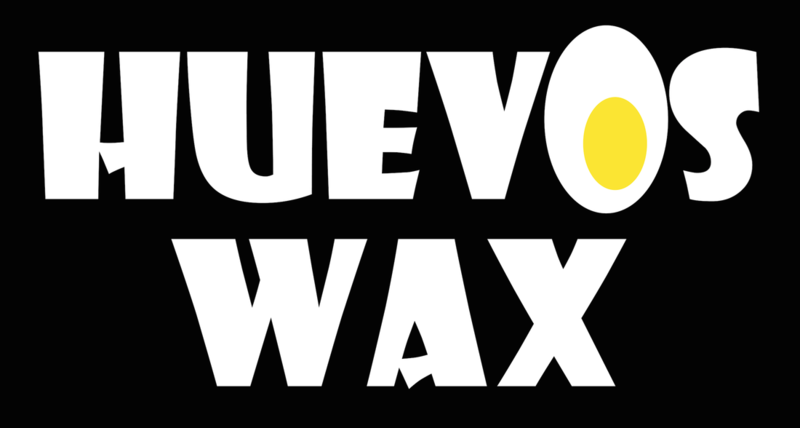 See where we are located on our Directions page. Lessons are offered everyday, 365 days a year, for males and females of all ages!